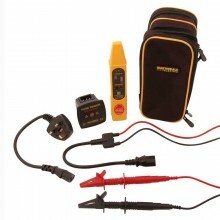 Includes: FFinder Fuse Finder Kit, Mains Lead Cable for transmitter, Instruction Manual, Batteries 2 xAA (not included). 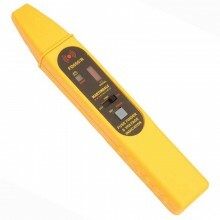 The Kewtech Fuse Finder enables the speedy identification of which breaker or fuse is protecting a circuit. 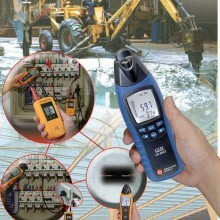 The transmitter uses the mains supply to generate a modified high frequency signal into the live conductor that can be detected by the Fuse Finder receiver. 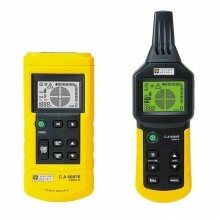 The signal will not adversely affect other equipment but is powerful enough to work over cable runs of several hundred metres. 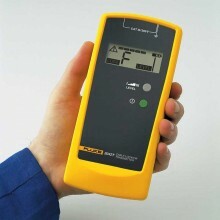 The scanning head uses a ferrite transducer to detect the signal and when placed on breakers that are connected to the live supply under test will indicate the presence of the signal. 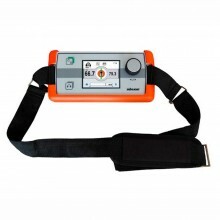 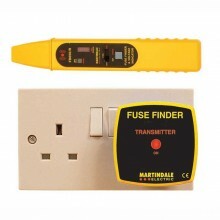 The Kewtech Fuse Finder consists of a transmitter and receiver with mains lead. 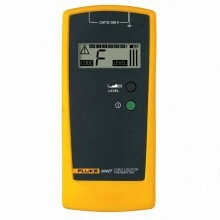 Transmitter – connects to the circuit to be traced by either the mains lead or fused test lead set. 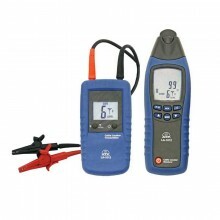 Quickly identify which fuse or MCB controls the circuit under test. 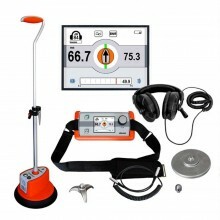 Self learning mode increases sensitivity for accurate fuse finding. 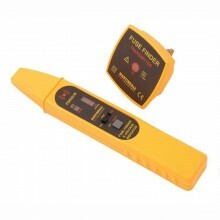 Two separate parts, a transmitter and a receiver. 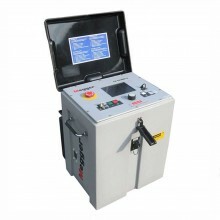 Transmitter is powered from the supply. 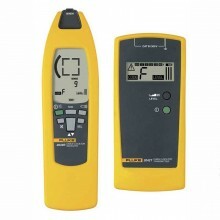 Clear LEDs indicating signal strength. 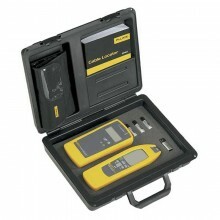 Standard IEC 61010 250 V CAT III, Double insulated. 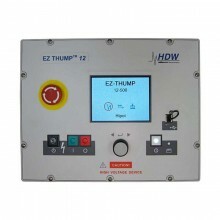 Transmitter supply 110 V / 230 V 50-60 Hz. 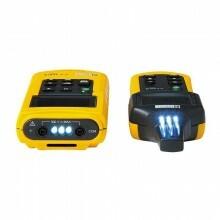 Receiver Batteries 2 x AA Alkaline. 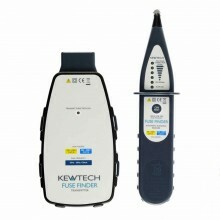 Kewtech Fuse Finder Kit warranty 2 year. 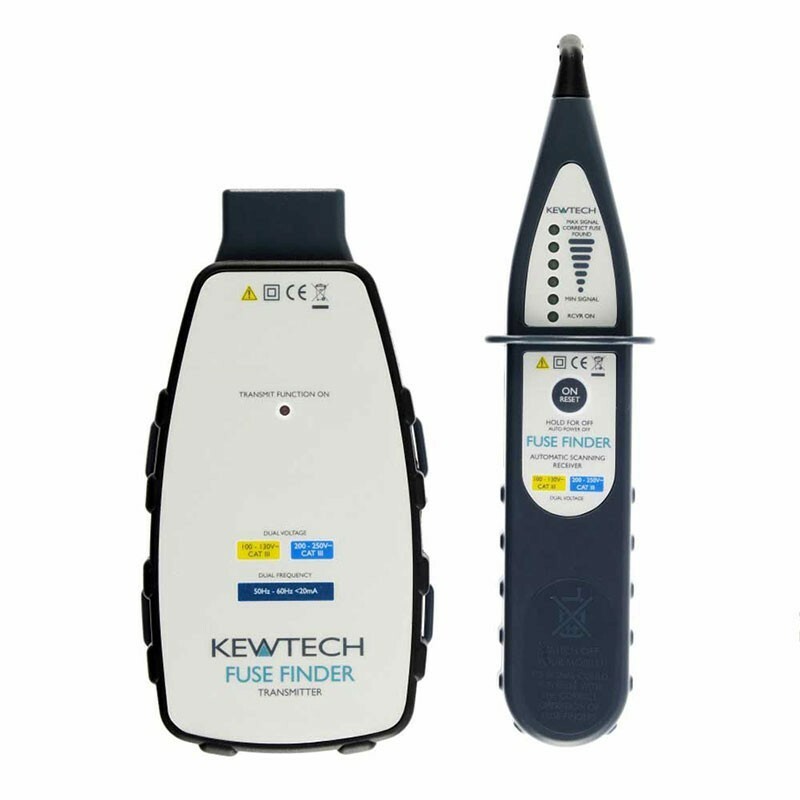 PDF Specifications of the Kewtech Fuse Finder Kit.